Power Meter for Solar Performance. The Solar Power Meter demonstrate Your Product's Solar Performance. Display Solar Transmission Readings or Solar Power. The Solar Power Meter demonstrate Your Product's Solar Performance. 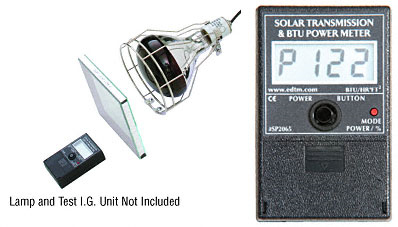 Display Solar Transmission Readings or Solar Power Readings.Easily Switches to BTU Measurements. Increase sales by improving the quality of your sales presentation. Bring your windows performance to life in front of your customer.